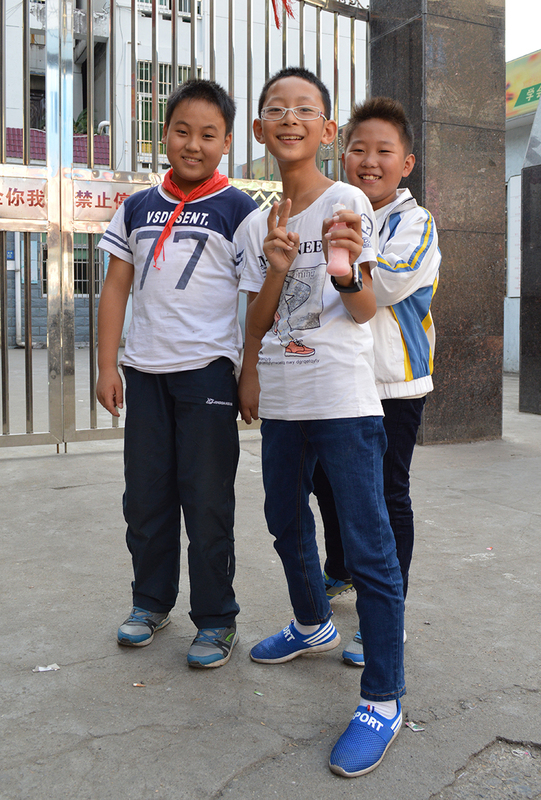 A 15 hour train ride from Shanghai arrived in Jingdezhen at 4 am on Sept 15. We had a sleeper car which provided the eleven travelers in our group a chance to rest along the way. 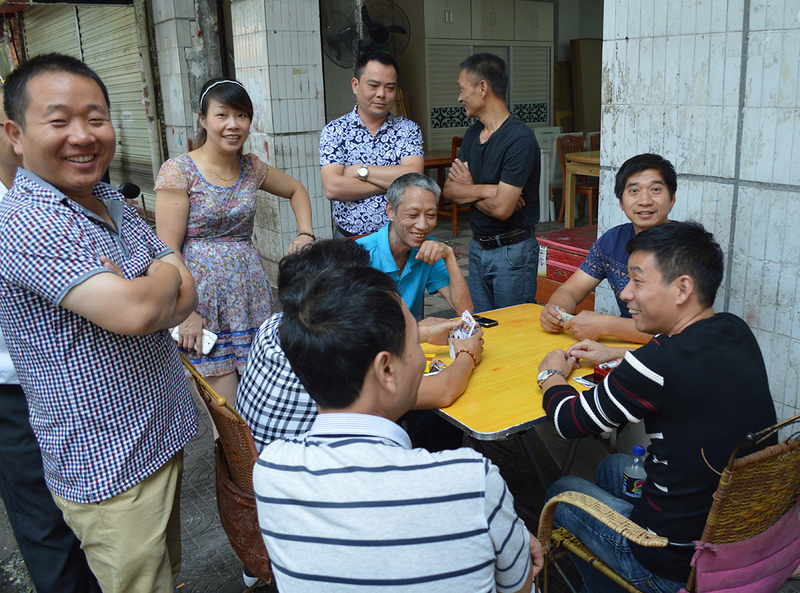 The train trip offered an opportunity to visit, play cards, and for some the sampling of a traditional grain alcohol called Báijiǔ. The aroma alone was enough to satiate my curiosity. 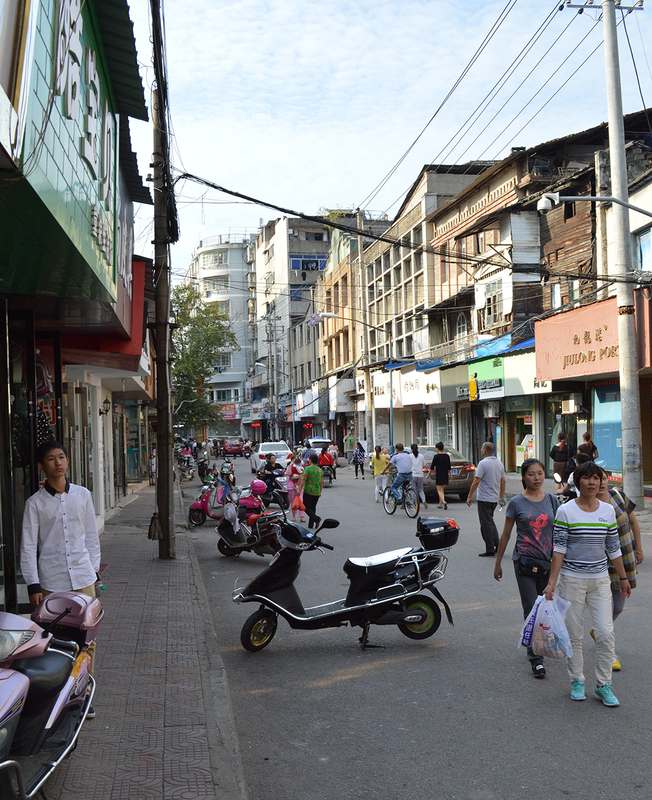 I picked up the beginnings of a cold in Shanghai and fought it for several days in Jingdezhen. Thankfully, I am on the rebound and feeling better. 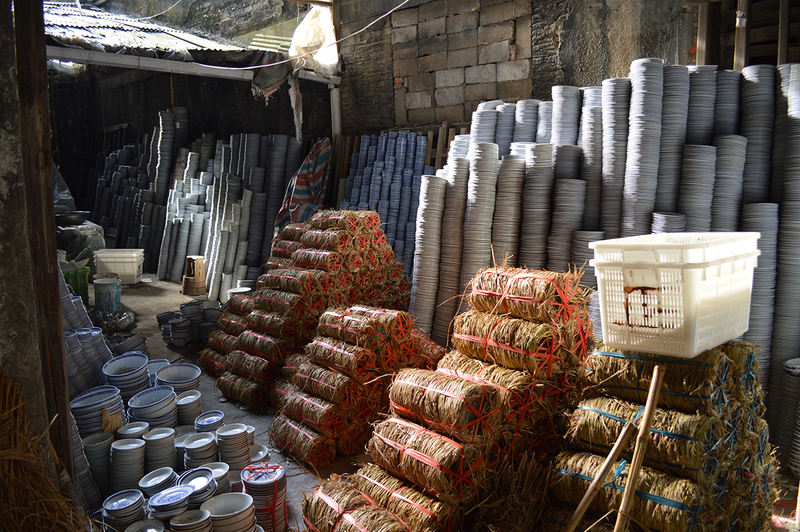 Jingdezhen (JDZ) is a city of 1.6 million people, 400,000 are involved in some aspect of the ceramic industry. Since the Song Dynasty 960-1279, Jingdezhen ceramic production has been accomplished by the coordinated efforts of specialists in the skills of forming, trimming, decorating, and firing. Even today, individual craftspeople rely on the efforts of their neighbors to provide help during the production process. Typically, a craftsperson trains in a specific skill that becomes their specialty – decorating in blue and white for instance. 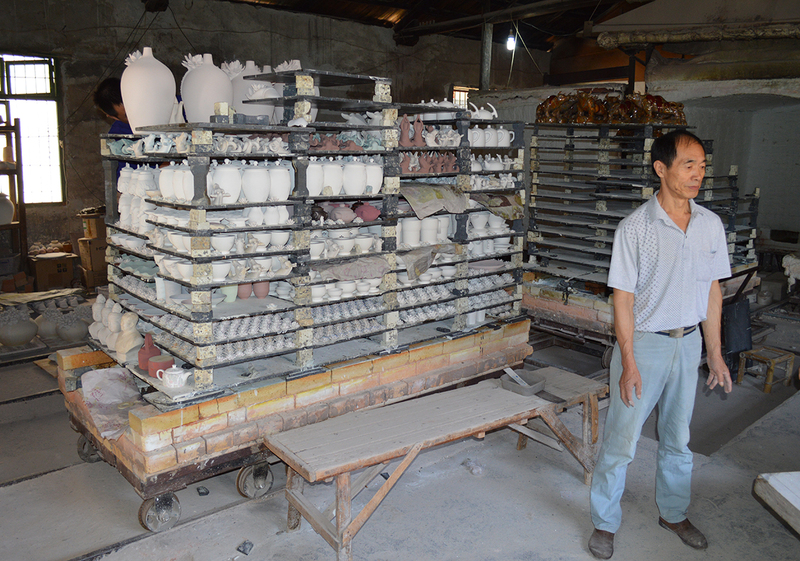 In the few days since arriving in Jingdezhen, I have been introduced to kiln firers, a tile maker, underglaze decorator, relief carver, clay preparer, and jigger-jolly operator. The locals are curious about us Western visitors and have been extremely gracious in allowing me to take photographs. They often express thanks for my interest and I typically show them the picture from the back of the camera. 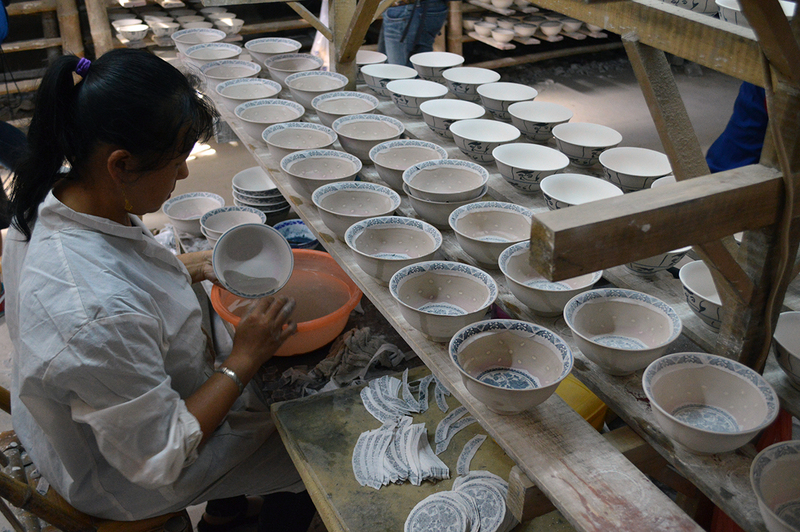 I went with the West Virginia University (WVU) group to visit the Qinghualinglong manufacturing facility where porcelain wares decorated with cobalt decals and a distinctive rice-grain translucent pattern are made. 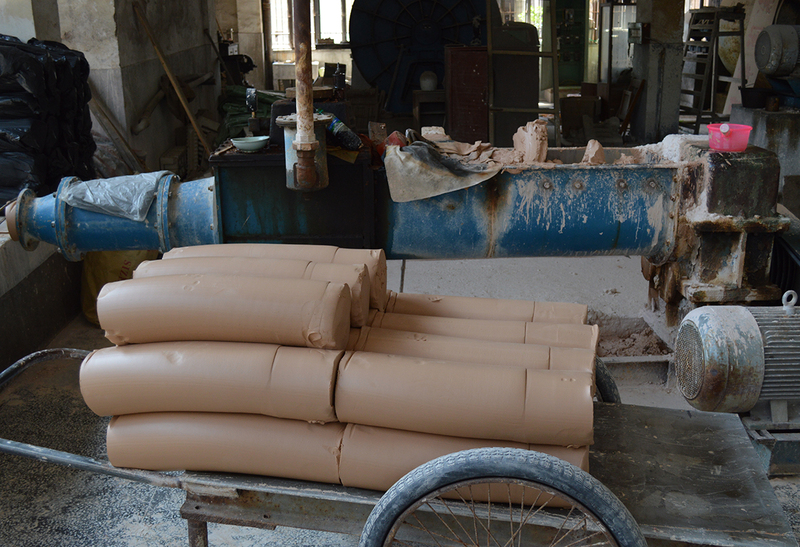 It is the only workshop in JDZ currently making the rice-grain wares. Thousands of simple bowl and plates filled the workspace as craftspeople formed, decorated, and glazed the work with great skill and efficiency. I was surprised by the amount of handwork needed to make the pots. The workers graciously allowed us to gather around their stations to take photographs during the visit. I think they enjoyed having visitors in the workshop. 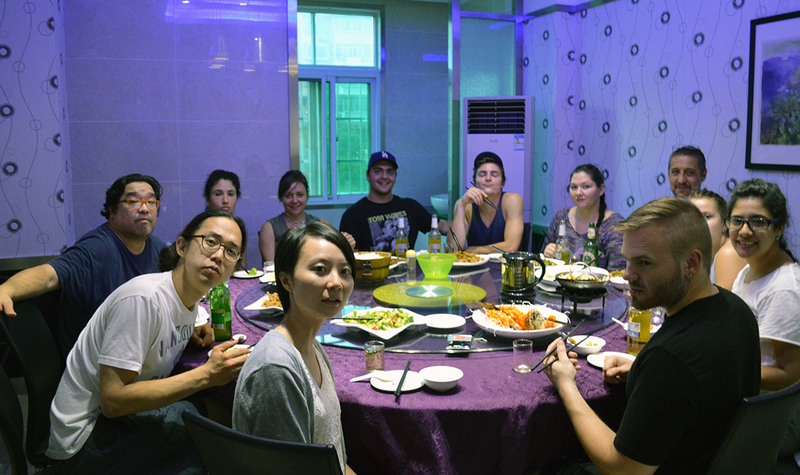 Our group eats two meals a day at a local restaurant. The food has been exceptional and the ‘family’ style dining offers time to share our experiences from the day. Delicious food of great variety is also available from street vendors. Despite my wife, LeeAnn’s, concerns about patronizing street vendors, it is common practice among locals, ex-pats, and our group. Commonsense and a little luck seems to be the recipe for good eating so far. One of the unusual foods with an endless variety of preparation is the lotus root. Fresh fruit is also abundant from mobile wagons and countless small shops. Oranges are in season and sweet potatoes are expected soon. Wow, Glen. It’s almost like you took me along. Great pictures, great culture of craft and good times! All the best. Hi Glenn, I’m really enjoying your photos and comments about the wonderful experiences in JDZ. Does the food have enough chili for you? And how is the weather this time of year? Jo, The weather is warm and humid, but tolerable in the 80’s. Chile is available and appears often in street and restaurant food – mostly red. Our host ordered frog today for lunch, not my favorite but I gave it a go. I went to the ancient kiln site museum today to see Qing Dynasty Imperial kilns and recreations of the potter’s workshops. Sounds like you’re having a great time!! 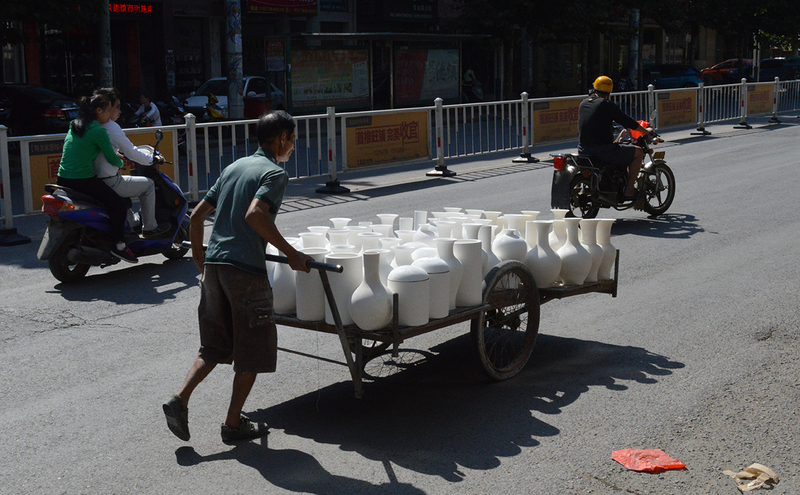 😀Not sure if I’d like to carry so many ceramic pots like that carryman. 😕 I’d be afraid of them all falling. How far did he have to push that wagon full? Erica, I am unsure how far he traveled with the cart. Pots are moved all around town by wagon,truck,and hand. The traffic can be a challenge with all the scooters, people, and vehicles weaving in and out of each other. Traffic lights exist, but they seem to be followed only when its convenient. Pedestrians have the right of way or at least they appear to, people step into traffic whenever they like. Does the frog taste like chicken? The frog was somewhat like dark chicken meat. Chewy with tiny bones – a bit yucky for me because I could not help but think about how the World frog population is declining, one frog leg at a time.